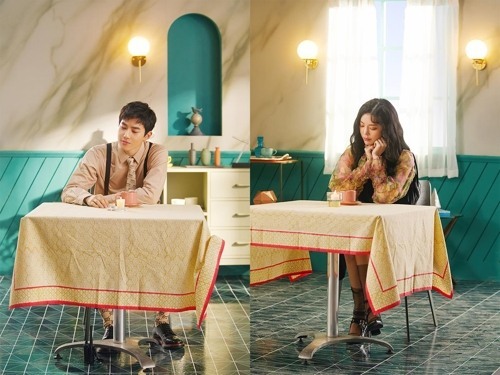 Suho, a member of EXO, and singer-songwriter Jang Jae-in are set to release two duet tracks. One of the songs, directly translated as “May I Be Excused,” will be released first on Friday via Listen, a music platform of Mystic Entertainment, Jang’s agency. “Dinner” will be released the following day through Station, SM Entertainment’s song channel for digital releases. Lyrics of the two duet tracks were co-written by Suho and Jang. The two songs will be connected, both about love and relationships. The duets will be part of an ongoing collaboration between the two singers’ agencies.